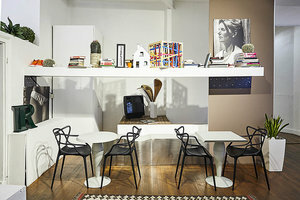 This creative venue is located in the busy area of Downtown Milan close to Linate airport. 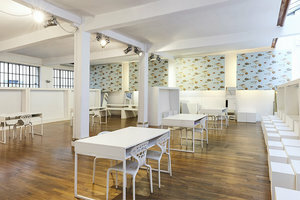 At 250 sq m it is perfect for Private Events, Showrooms and Press Events. 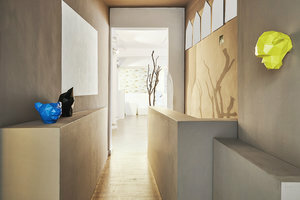 The interiors here are contemporary with white walls and wooden floors. High ceilings and pillars throughout break up the space and create an open yet welcoming atmosphere. There is a range of furniture available making this space adaptable in terms of set-up and the range of events this space can accommodate. The space also offers a quirky courtyard which offers outside space and versatility. 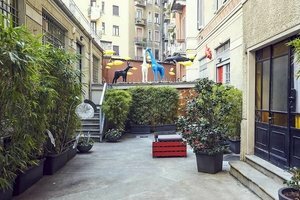 Advantageously situated between Piazza Susa and Piazza Ermete Novelli, this space is a great location for private events and creative pop-ups.